Windows 10 build 18204 is the very first Redstone 6 build release. Skip Ahead Insiders can now download and install this build on their computers and test the new features. Unfortunately, some Insiders are still struggling to install this build. Well, this is not the only issue affecting Windows 10 build 18204. In this post we’ll list the most common bugs affecting Windows 10 build 18204 just to give you an idea of what to expect in terms of issues. I have just upgraded to Build 18204. When I go to System Configuration Boot Advanced Processors 4 and Maximum Memory and reboot, the system runs slow and when I check CPU in Task Manager it shows two processors and four logical processors. When I uncheck processors and maximum memory and check task manager, it shows four processors and eight logical processors. Some Insiders also noticed the computer clock often fails behind. 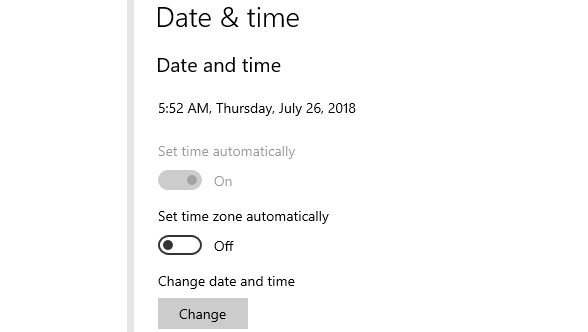 If you’re experiencing the same problem, you may want to check out our dedicated troubleshooting guide on how to fix Windows 10’s clock if it’s wrong. If you can’t find some of your apps or programs after installing Windows 10 build 18204, you’re not the only one. For example, some users reported that the gaming menu is missing, while others can’t find Groove and WMP. Other Insiders complained about PowerShell crashing after just a few seconds. This bugs makes it impossible for Insiders to actually use the tool. We’ll end our list here. If you encountered other issues after installing Windows 10 build 18204, let us know in the comments below.